Emma Yeo in Creative on 25 January, 2016. Oliver was not, by anyone’s standards, a wealthy man. Finding three crumpled notes at the back of his wallet was the best thing to happen to him in weeks. His wife had died years earlier. Each winter, as the anniversary of her death approached, his mood grew darker with the lengthening nights. Years passed in this manner, until the once sprightly lad was an old man of seventy. Having spent the best part of fifty years alone, his decision to re-enter the dating market did not come easily. His decision was spurred on by the realisation that he had grown old alone and, unless he wanted to spend his twilight years alone, he needed to act. While love would have been magnificent, companionship was all he really needed. A friend more talkative (and less yappy) than a Jack Russell. His daughter suggested joining a ‘friendship’ group for the elderly but Oliver didn’t feel quite old enough for that. Wanting the excitement of love at first, Oliver decided to wait for the lady of his dreams to appear. It was, surprisingly, one afternoon in January that Oliver spotted the perfect woman. Wearing a blue striped dress and pocket watch, she was years younger than him. She was fitter too, able to navigate the tricky stairs of the building without making a sound. After spending some time talking to her about his grandchildren, it was time for dinner. Oliver knew that he must have looked absurd, begging a woman almost half his age to spend time with him. But she was the mirror image of his beloved wife. “I can’t today,” Sarah replied, a hint of regret lingering in her voice. The next day, she returned. This time, instead of heading home once their allotted time together was up, she stayed. There was a sparkle in her eye as she watched him shuffle over to the table in the corner of the room. Putting the final touches to the food, Oliver carried the plate over to her. Crabsticks (his favourite) and oysters, with champagne. An odd combination perhaps, but it fitted how he felt. The surge of hope Sarah had created within him was uncanny. “And you thought charred oysters were the best way to a girl’s heart?” Sarah asked softly, leaning forward in the chair. She had the decency not to mention that cooking oysters in their shells simply wasn’t done. “If you hadn’t cooked them in their shells then they would be fine,” Sarah said, looking down at the offending dish. “Well, if I’d-” Oliver stopped, deciding to focus on the positives. He wasn’t alone anymore. 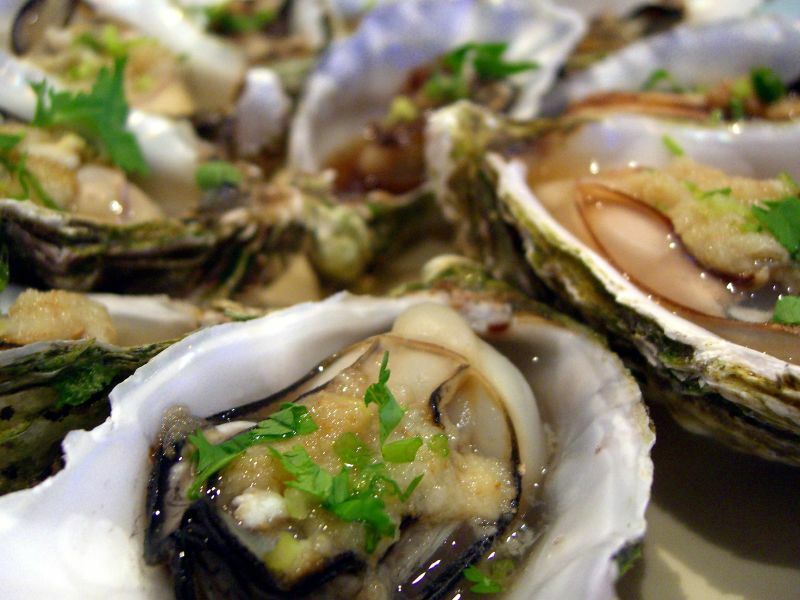 “What made you choose oysters?” his date asked, ignoring the unfortunate crabsticks. They finished the meal in silence. Soon after, Sophie left and Oliver was once again alone in his too-cold bedsit. But he was happy, surrounded by the whisper of long lost days sitting at the pier with his wife holding him close. Photo courtesy of ‘Alpha’ on Flickr, used through a Creative Commons license.